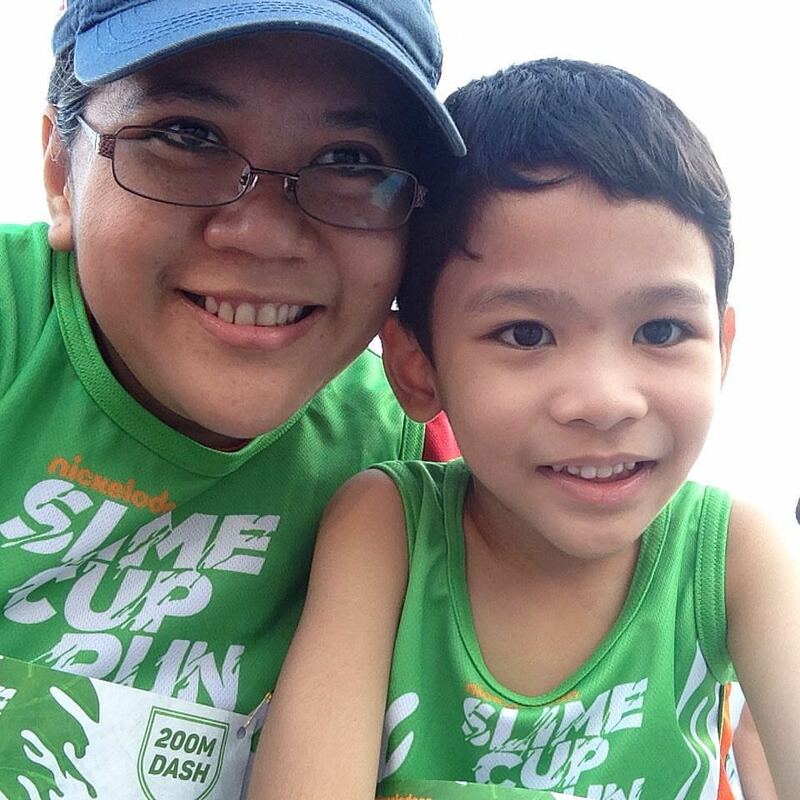 Nanay's Trip My Journey and Joys Nanay's Trip Slime Cup Run, RIO, Run! Slime Cup Run, RIO, Run! “Yes, Nanay. I know Slime Cup Run and I want to go there. 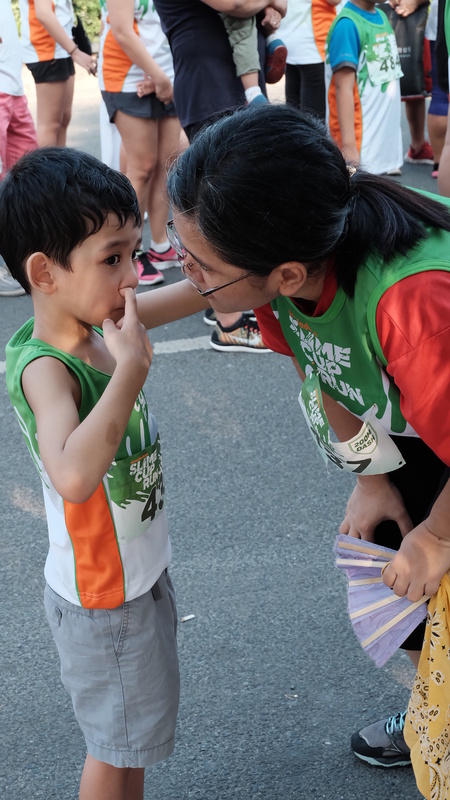 Please.” After hearing my five-year old son say the magic word , there was no choice for me but to join the fun run. He learned about the run from the TV ads flashed in between his favorite shows in Nickelodeon. I didn’t know what made him so excited to join the run. 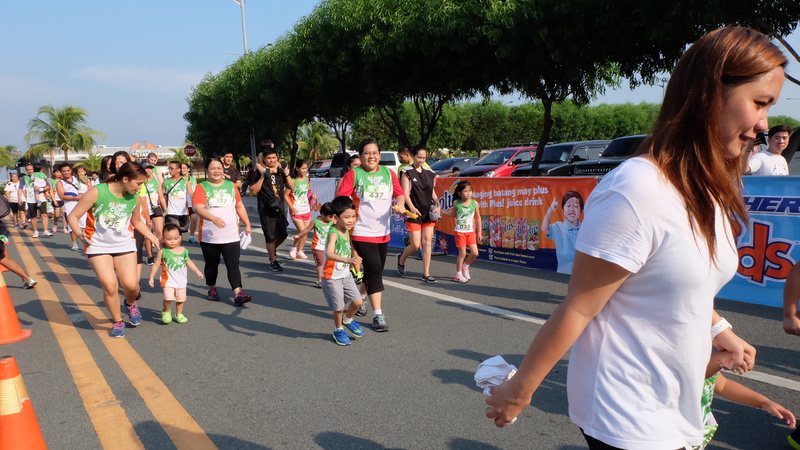 I was not able to catch the TV ads so I had no idea what convinced my little boy to flex his leg muscles and try running with a crowd for the first time. 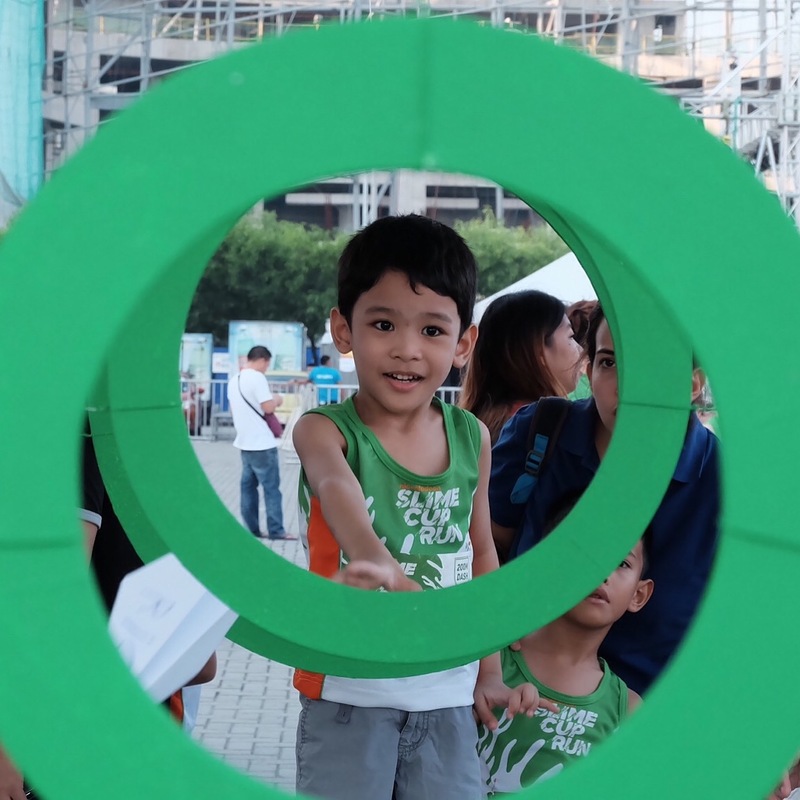 Bakit kaya excited agad ang batang ito? 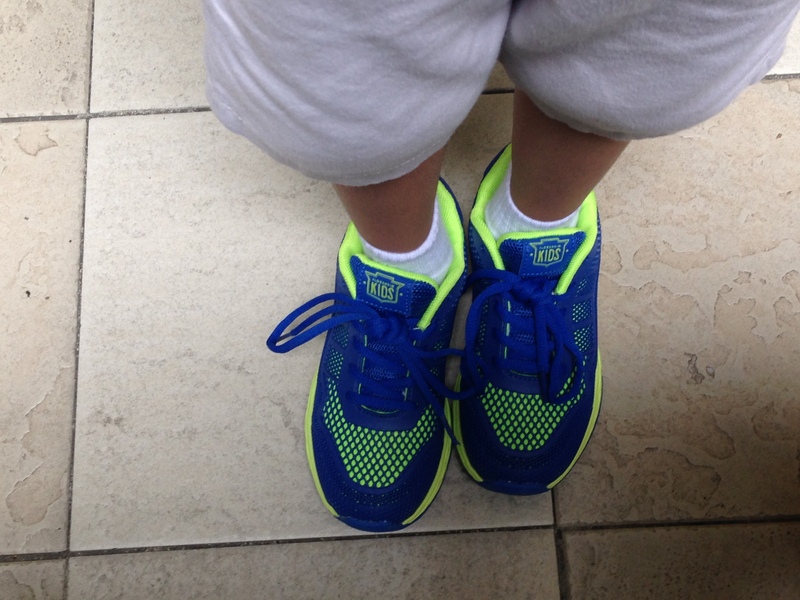 I had no chance to probe his reasons because I was busy thinking where to get my little boy a new pair of running shoes. 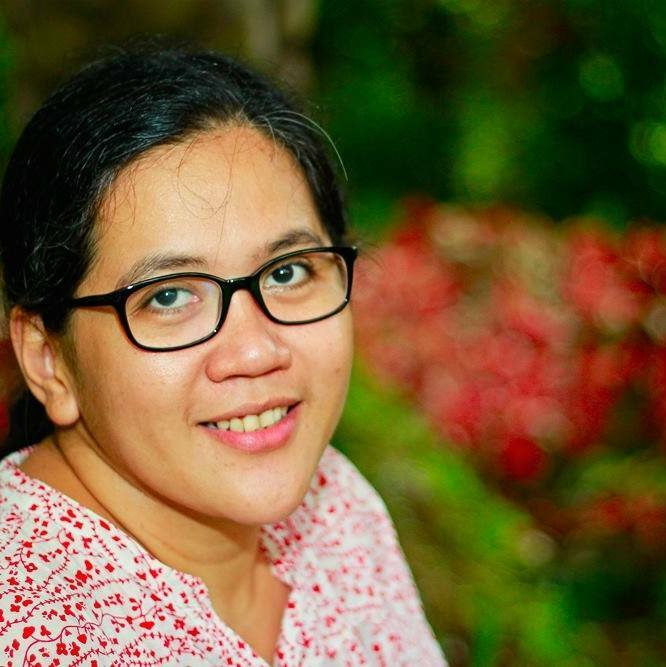 Excited din ang nanay, siyempre! My husband and I hunted for the perfect running shoes. Ang mamahal pala ng running shoes! Finally, we chose these Florsheim rubber shoes since we had durable pairs of sandals and shoes from the same brand and they were on sale. The next problem was how could I make my little sleepyhead to wake up so early and catch the six o’clock gun start. Preparing our running outfit and gears was one way to psyche him up for the early morning event. The most important preparation for the run was sleeping early and skipping all his late Saturday night rituals. And our pre-run activities paid off. We were in the Mall of Asia concert grounds a few minutes past six o'clock. We got our run kits at the booth and swiftly changed into our Slime Cup Run running sandos. This is it! 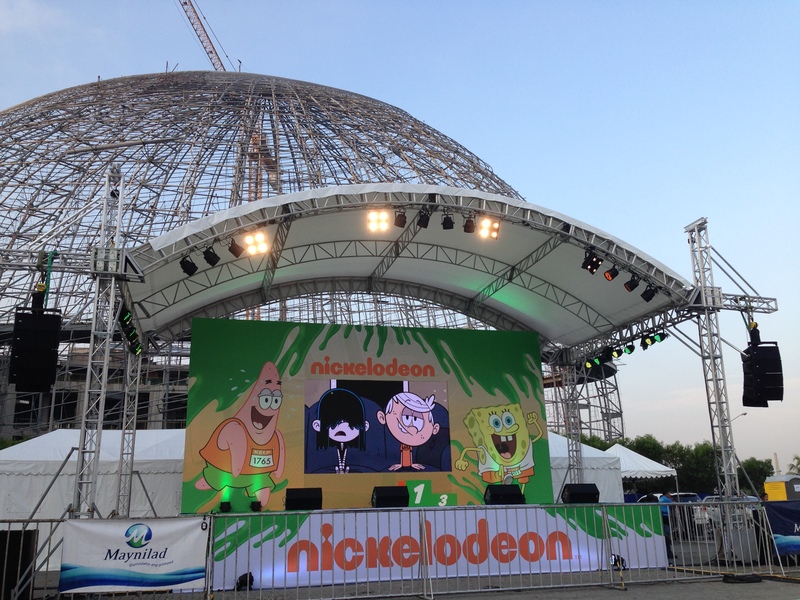 Rio had some time to enjoy some of his favorite Nickelodeon shows in the big screen which was set up in the venue. We also visited some of the booths around the area. 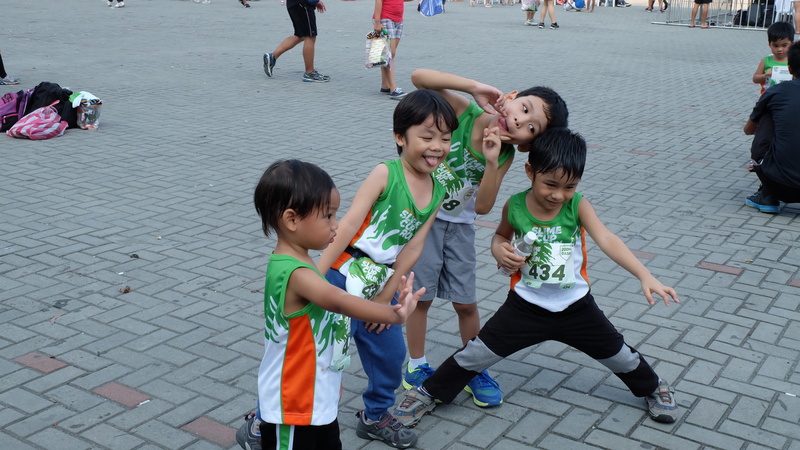 We were glad to have bumped to our friends and the kids warmed up even before the race began. What happened next made it difficult for my little boy to enjoy the race he was looking forward to all week long. Nadapa ang anak ko! He was playing with his friends before the race started when he accidentally stepped on a cable. Awwww. My son was not ready to cope with the small wounds on his knees and this unfortunate accident before the actual race. We were thankful for the quick response of Leadpack's (race organizer )First Aid team. A man with his medical kit approached us and swiftly offered to help our little boy. We told him to just apply some Betadine on Rio’s wounds. Our hurt little boy was still not ready to go back to his jolly mood. He was sobbing and would not let go of me. We were dealing not only with the pain from his wounds but the embarrassment he felt after the incident. His other friends were so excited to start the race while he was injured even before the race had begun. We were almost at the end of the running crowd but we were just as happy as everyone who finished this short but fun race. 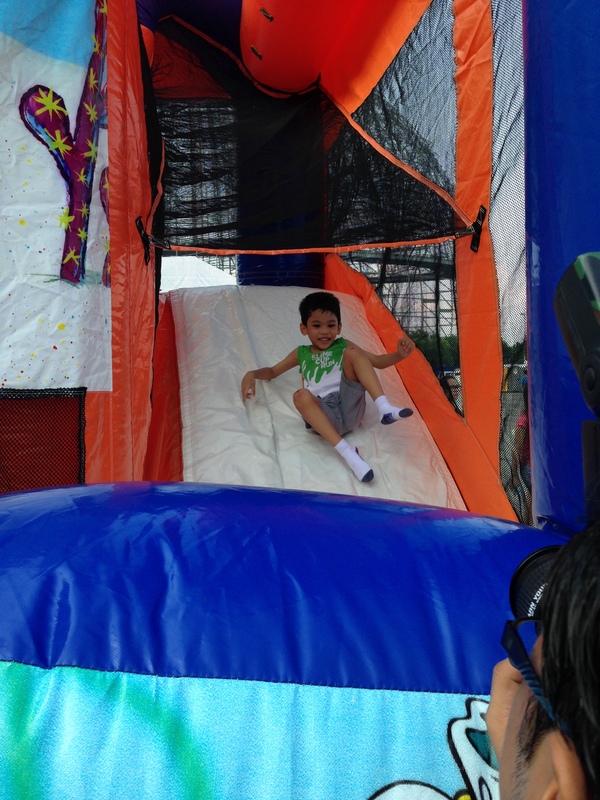 Rio regained his happy mood and enjoyed the inflatable playground with his friends. Look at our group photos. Enjoy na enjoy ang mga mommies and kids! Our family enjoyed the slime cup run and we pledged to spend the coming weekends walking or even running around parks. Masarap pala gumising nang maaga at magpapawis nang sama-sama! 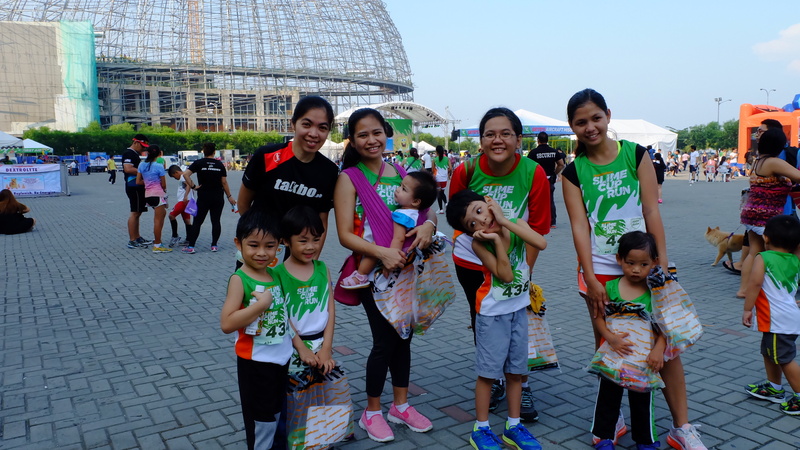 Thanks to Nickelodeon and Leadpack for this fun running family adventure! Next year uli!